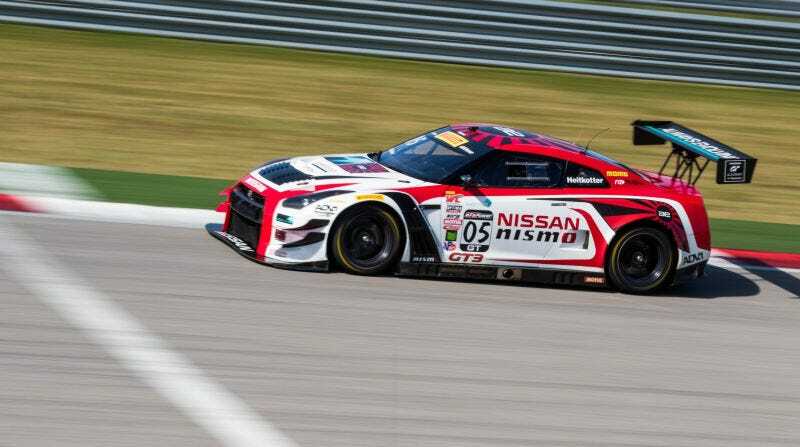 Nissan announced their worldwide motorsport plans today, confirming that the the Always Evolving Pirelli World Challenge team will be losing its factory support for 2017, Racer reports. Additionally, Nissan announced that a new GT-R race car for the international GT3 spec is under development for 2018. Nissan dropping the Always Evolving team’s works support so late in the offseason was far from ideal for the team, which now must fund their own season and the delivery of one brand-new 2017 GT-R Nismo GT3, per Racer. Instead of expanding to three cars as they hoped before the off-season, they’ll now be cutting back to a one-car team. The team is expected to take delivery of their new GT-R in time for the PWC race at Long Beach and race in the full season after that, skipping the season opener at St. Petersburg. Here’s the full video of what Nissan’s up to for next year, complete with the announcement of a brand-new GT-R GT3 car. Will we get to see that new GT3 car race in the United States, though? We’d like that.